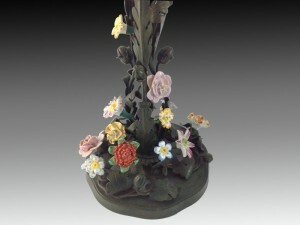 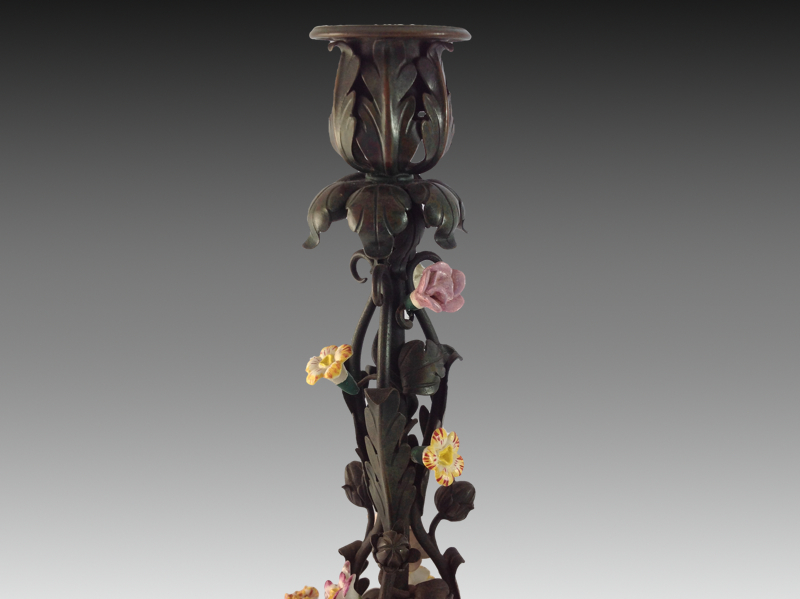 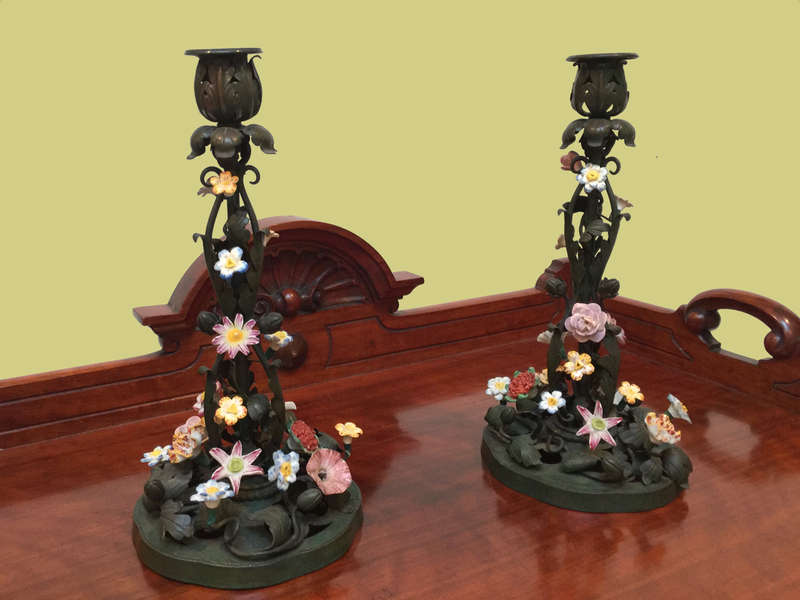 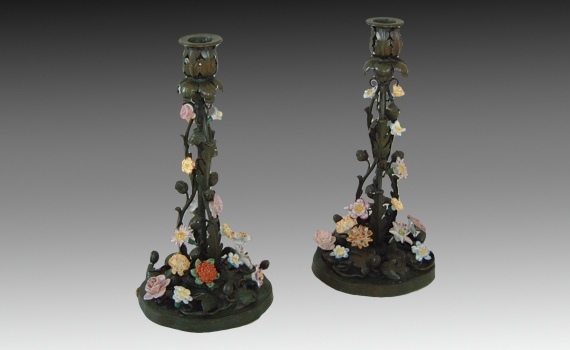 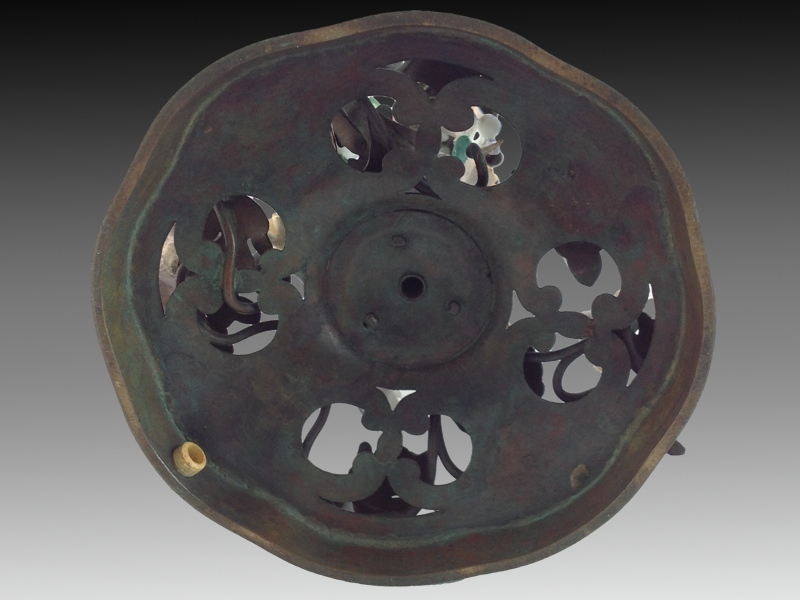 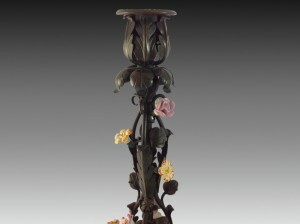 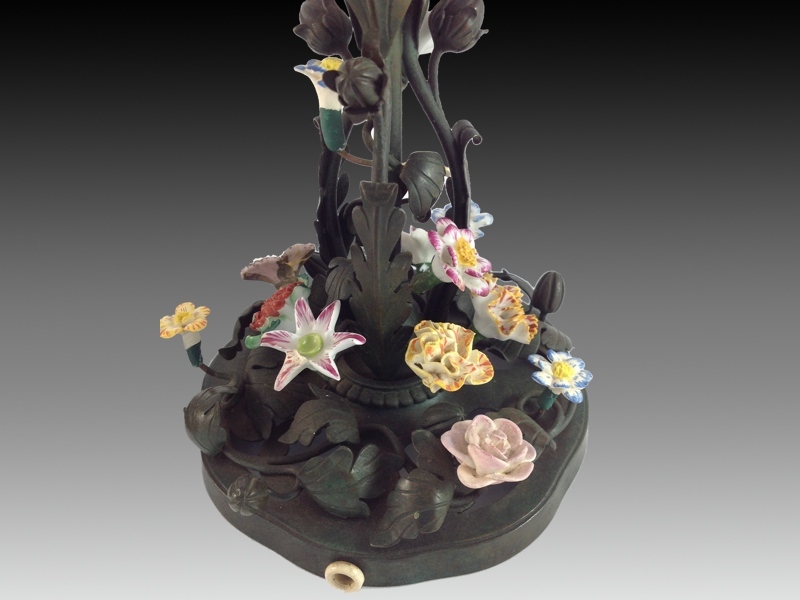 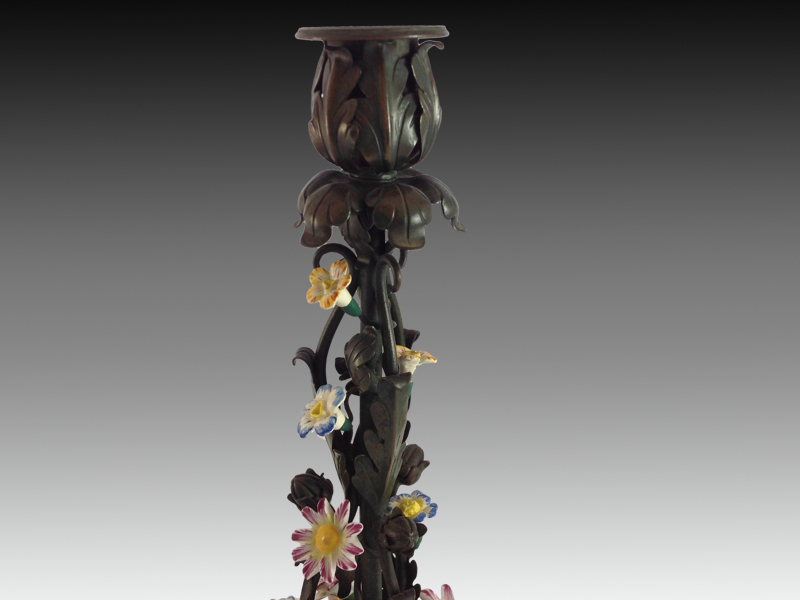 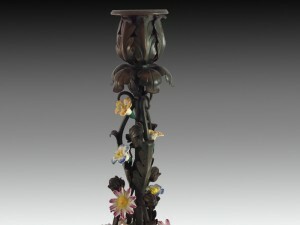 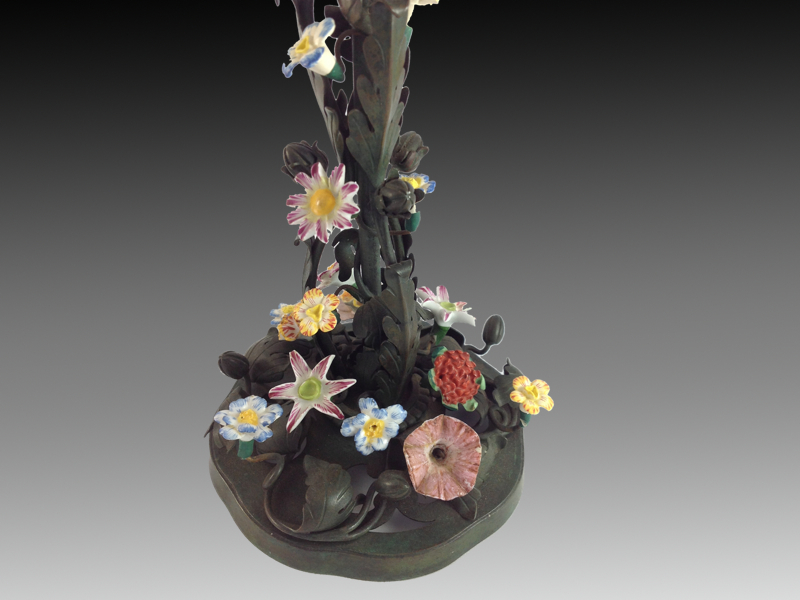 A pair of early 20th century green patinated bronze and porcelain mounted candlesticks. 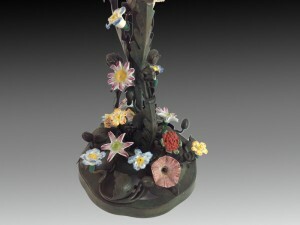 Each scrolling pierced stick mounted with porcelain flowers. Drilled for electricity.